Prescription drug addiction is a very hard situation to be placed into. The entire world seems to revolve around drugs at times. Whenever you turn on the television there will be numerous ads all touting the positive and negative effects of one drug or another. Getting prescription drug addiction help can be difficult as well. There is no shortage of individuals and companies offering help on the Internet or through local sales flyers. However, it can be hard to truly separate the ‘wheat from the chaff’ as is often said. Read more: Symptoms of Prescription Drug Abuse. 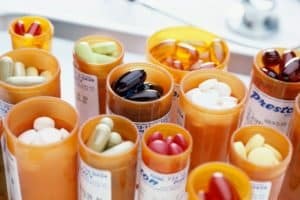 When Do I Need Prescription Drug Addiction Help? This is the first question that anyone must ask themselves. There are many different levels of addiction. How do you determine if you actually are addicted? The key to understanding whether or not you need prescription drug addiction help is to assess your life and current living standards. Once you have sorted through the possible answers to questions such as, “How often do I use my medication?” and “How often do I need a refill?” you will discover that you do or do not have a strong addiction. There is a difference between a mild psychological dependence that you can work through simply by trying to cut back on your intake of medication, and the complete and total belief that you can’t function without a medication. Either of these situations can be problematic for someone going through prescription drug addiction alone. This is why you need to consider asking for professional help from a therapist or a company such as Sober Solutions. Sober Solutions can provide lengthy and detailed information on methods for assessing your situation and meeting your drug addiction goals. Can’t I Just Quit On My Own? When you are addicted to prescription medication you will find that your body has changed its chemistry to match the intake of that drug. In some instances quitting cold turkey will just lead to a few days of adjustments and withdrawals. In other instances cold turkey removal of powerful prescription drugs from daily existence can lead to serious health issues, terrible withdrawals, and in some cases suicidal thoughts and tendencies. The most likely outcome of attempting to quit prescription medication like this will be either severe difficulty, major health issues, and tendencies toward violent or suicidal mood swings. A professional service such as Sober Solutions can provide you solid prescription drug addiction help throughout this time period. If you attempt this on your own you will have to wade through that mine field alone. Most people end up just going back to their medication, which forces the process to start all over again from scratch.